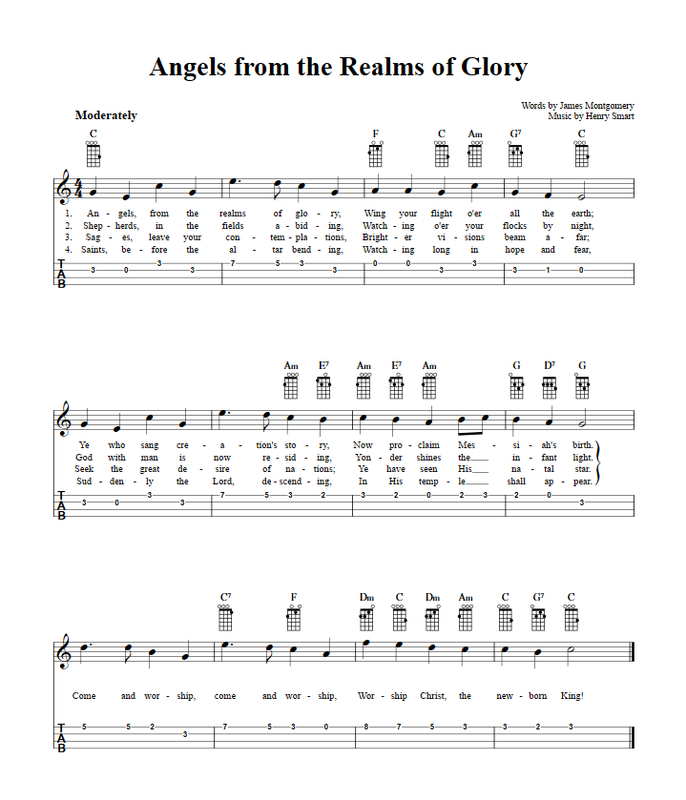 Instantly download "Angels from the Realms of Glory" and 51 additional Christmas songs for ukulele for only $9.99. Print unlimited copies or view the music on your tablet. Download Angels from the Realms of Glory instantly as a high resolution PDF file for printing or using with a tablet.